Stallone to star in fifth ‘Rambo’ film? 1/30/2008 5:45:24 AM Myanmar’s pro-democracy leader and Nobel Laureate Aung San Suu Kyi met political allies for the second time in three months on .. In 1991, she won the Nobel Peace Prize. Aung San Suu Kyi’s NLD won a landslide election victory in 1990, but was barred from power by Burma’s military rulers. So, hopefully, the TRT-influenced PPP will take migration issues into account,” said Myint Wai of the Thai Action Committee for Democracy in Burma. 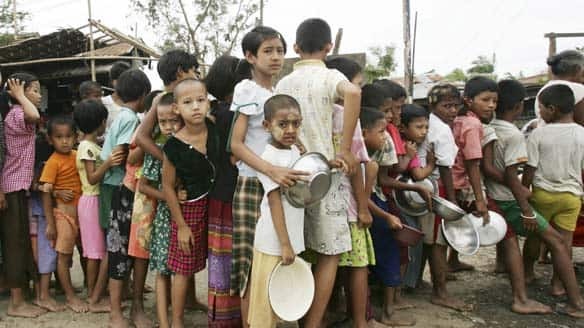 … Chinese to drop their opposition to harsh sanctions against Burma (Myanmar) and Sudan, two countries with strong military and economic ties to Beijing. | Rambo is back – bigger and bloodier. | By Peter Suderman | You can learn everything you need to know about from the title. It’s short, simple, and blunt. There are no Roman numerals, no colons, no hokey subti..